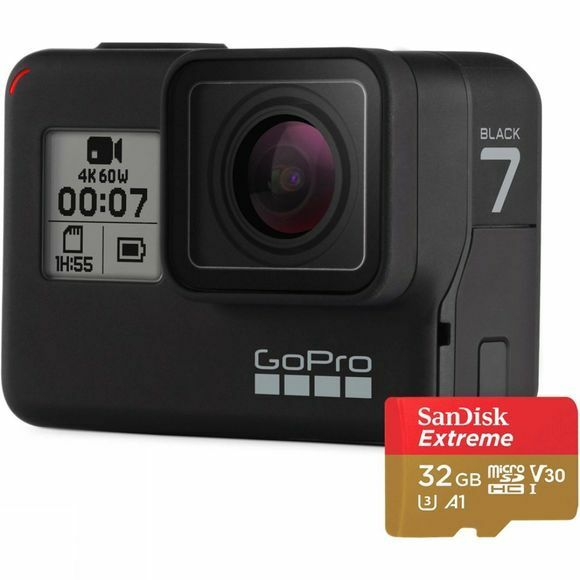 The GoPro Hero7 Black is perfect for capturing all your outdoor memories, in quality as amazing as the moments themselves. Ready to go where your smartphone can’t, this camera is tough, rugged, and waterproof to 10m without any housing, but is also compatible with the super suit (sold separately) to take your camera down to 60m. The Hero7 Camera has an intuitive touchscreen with streamline navigating so you can spend less time fiddling with settings and more time capturing the action. The Black edition also has a status screen to indicate the capture mode, battery and memory indicator level. Shooting in stunning 4k60 video, the HyperSmooth three-axis stabilisation provides gimbal-like stability to correct camera shake, while three microphones with advanced noise suppression filter out wind, vibration and handling noise, to provide clean, crisp video footage and audio. Still photos also look incredible thanks to 12MP quality. SuperPhoto intelligently applies HDR, local tone mapping and noise reduction to optimise your shots, or you can capture them in RAW form to give you the most flexibility in advanced photo editing. It’s never been easier to share your pursuits from your GoPro to social media – the Hero7 sends your footage to the GoPro App, where you can upload straight to your Instagram and Snapchat stories. 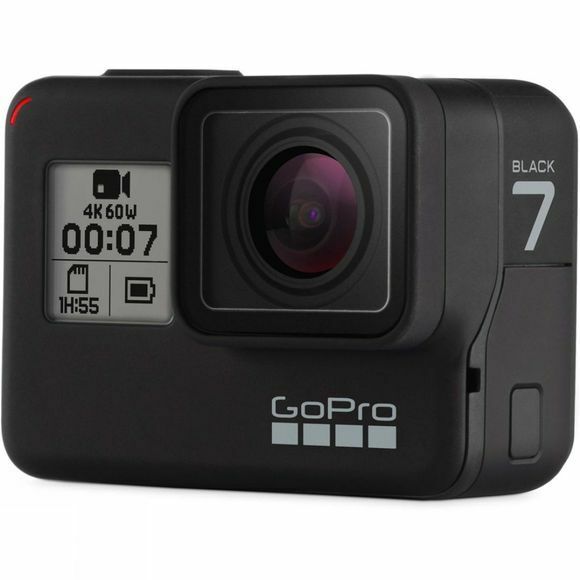 Browse through the new GoPro Hero 7 range and take a look at the GoPro Hero 7 Silver and White. Key Features: Voice Control, Wake on Voice, Live Streaming, GPS, QuikStories Enabled, Advanced Metadata, Protune, Supersuit & Karma Drone compatible, Status Screen on front.